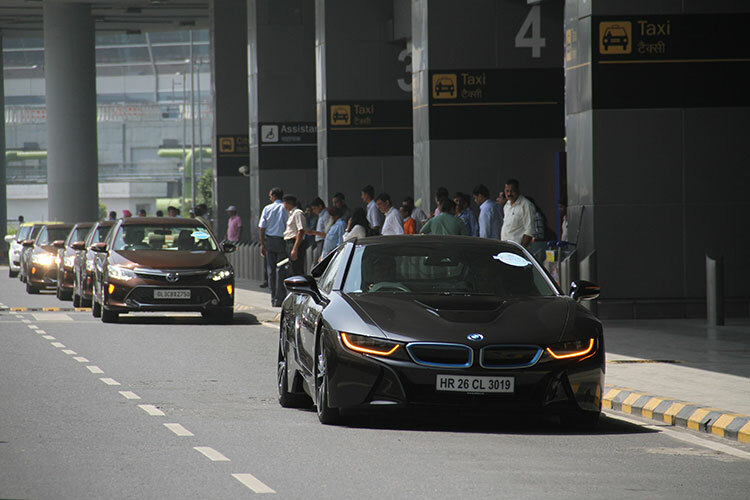 Luxury car maker, BMW celebrated World Environment Day in India with the BMW i8. 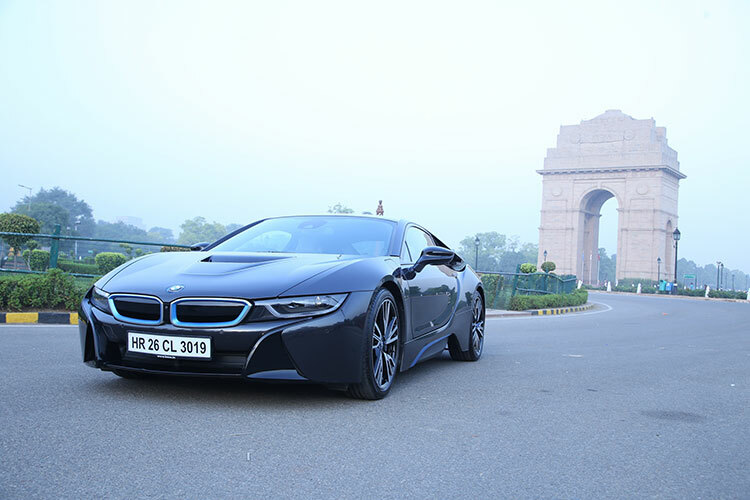 BMW i8, the advanced sports car from BMW hit the streets of Delhi with the ‘FAME India Eco Drive 2015’. The car comes with a sporting look and is powerfully attractive. 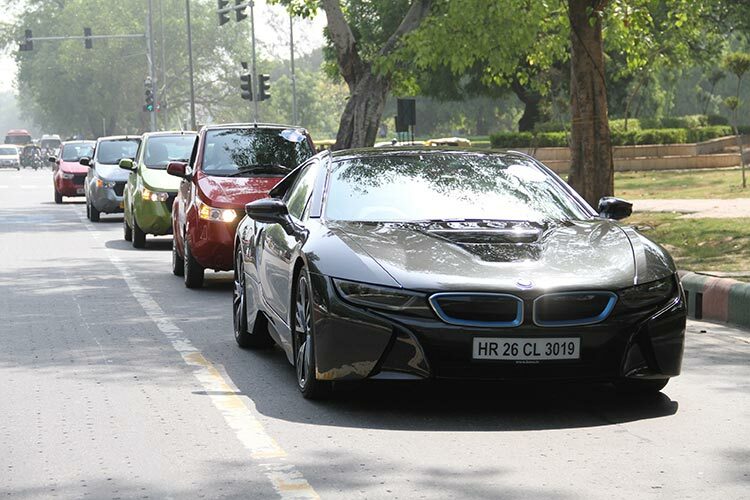 The i8 was the highlight among 46 hybrid and electric vehicles present during the rally, 14 of these vehicles were displayed at ‘FAME India Eco Drive 2015’. The world we live in is changing and a changing world constantly demands new ideas. The global automotive industry is witnessing a paradigm shift from the conventional combustion engine to sustainable mobility solutions. And, so is India. This iconic change is inevitable. At BMW, we are constantly working to create cutting-edge mobility solutions for the future. With growing urbanization and increasing environmental challenges, the BMW i8 is the perfect solution to the mobility needs of the Indian luxury consumer living in the upcoming megacities of the country. We strongly support platforms like the ‘FAME Eco Drive Rally’ which encourage mass scale adoption of green mobility. BMW i8 is the most progressive sportscar of its time which has won the coveted ‘World Green Car Award’ at the World Car Awards 2015. The car provides an extra-ordinary driving experience as the car comes with intelligent plug-in hybrid system in the BMW i8 that combines the benefits of an electric motor and a petrol engine, with this the car offers highest efficiency and maximum dynamics simultaneously. With BMW eDrive, the battery can be charged right from any mains socket or while driving. The electric drive, a powerful 96 kW (131 hp), is located on the front axle. The rear axle is driven by BMW TwinPower Turbo 1.5-litre 3-cylinder petrol engine with 170 kW (231 hp) of peak performance. The petrol engine of BMW i8 is combined with the electrical boost of the hybrid system guarantees typical BMW driving pleasure. All in all, the 2 units deliver a total of 362 hp which accelerates the BMW i8 from 0 to 100 kmph in 4.4 seconds using all four wheels in the process. Running on battery power, it achieves the top speed of 120 km/h with a maximum range of 35 kilometres. In conjunction with the combustion engine the electric motor takes the e-powered supercar to up to 250 km/h. A distinctive feature conceived exclusively for BMW i is the LifeDrive vehicle architecture which significantly contributes towards weight optimisation. It includes the Life module comprising of a passenger cell made from carbon-fibre-reinforced plastic (CFRP) and a Drive module which comprises of an aluminium frame for the combustion engine and electric motor, the battery pack and the suspension. Another impressive characteristic is record low fuel consumption and CO2 emissions, at an average of 40 km/l and emission of 59 g/km (provisional figures, according to the EU test cycle).